Here’s a budget friendly guide for things to do in Raleigh, NC. A Raleigh visitor guide for some of the best, fun and mostly free things to do that makes traveling on a budget a breeze! So this summer, My boyfriend and I have planned one vacation each month, from June to September. This month, we went to Raleigh, North Carolina. This is a state that I have driven through a few times, but never stayed. So its just one more state to cross off the list for my 50 before 50. 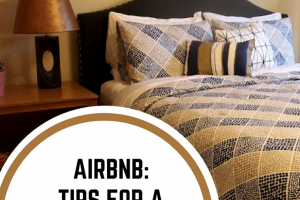 RELATED: The BEST Tips for Successful Airbnb Trip plus Discount code! We travelled on Allegiant airlines. Although, flying is new to me, I haven’t met anyone who has flown on it. Allegiant offers cheaper flights because everything is added a la carte. So if you want to bring a bag, add a few dollars. If you want to pick your seat, add a few dollars. Also, drinks and snacks are only available for purchase. I loved that its a non stop flight and I could get it as cheap as less than $100 roundtrip (SCORE!) The only downfall for some is their flights only leave on Thursdays and Sundays. The aircraft seemed a bit older, and both of our flights did not leave on time, but it was ok. I didn’t pick our seats, we decided to just wing it, but on both our flights we were able to still sit together with open seats on the plane. We arrived all in one piece and rented a car. Although where we were staying we were walking distance to many things. 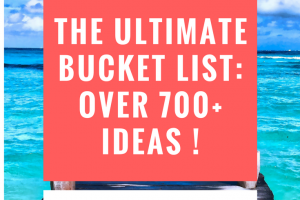 RELATED: The Ultimate Bucket List with over 700+ Ideas! Our flight in was delayed by an hour, so we just went to get dinner MoJoe’s mainly because its open late. The staff was great and the food was good. We drove back to Raleigh and ate at Sushi O. The restaurant has a nice atmosphere with indoor and outdoor seating. It has a large menu selection that offers Chinese, Japanese, Thai and Vietnamese cuisine. We opted for hibachi and some sushi rolls. (The rolls are buy 1, get 1 free). There is tons of restaurants in downtown Raleigh, it’s hard to choose just one! Nathan has somewhat of an obsession of finding all the battleships and exploring them and I love visiting them with him. We drove over to Wilmington, NC to see the USS North Carolina. 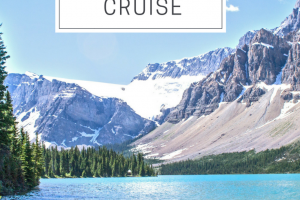 It is about a 2 hour drive but completely worth it, if you like these sorts of attractions. It is self guided tour, and took us about 3 hours. It is definitely warm, but not unbearable. ( Then again, I am from Southern Louisiana.) The boat isn’t air conditioned, but there is fans blowing randomly in certain areas of the boat. There is also a small museum in front the boat with other interesting facts and a short video. (that part is air conditioned). Surprisingly, there are a ton of museums in Raleigh and some are free like this one! Museum of Natural Sciences is huge and a wonderful place to tour. It is in two buildings, multiple stories, and did I mention its all free? We also drove by the historic homes, oakwood cemetery, governors mansion and the beautiful mosaic on the back of the convention center. We aren’t quite history buffs, but we love free things and also we learned a lot on our little tour of the state capitol. Here’s a few pictures from our time there. The weather held up for us, and we only were rained on for a few minutes one day. We also went to the movies. In New Orleans, we still don’t have assigned seating for theaters yet, but it is a nice touch. I’ve also never been in reclining seats and I have to say, its the way to go! It was nice to see so many things free in this city and so family friendly. It was great to complete another adventure off our long bucket list and I can’t wait for the next one.